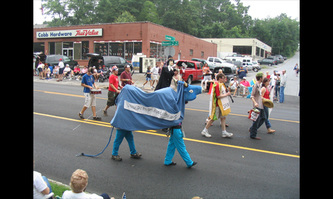 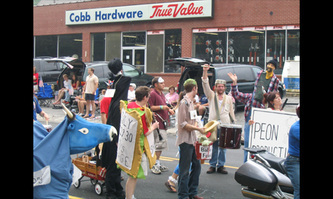 A group of local performers and musicians gathered to participate in the Marietta "Let Freedom Ring" 4th of July Parade. We were dressed as American Tall Tale Heroes and stock characters from previous performances. 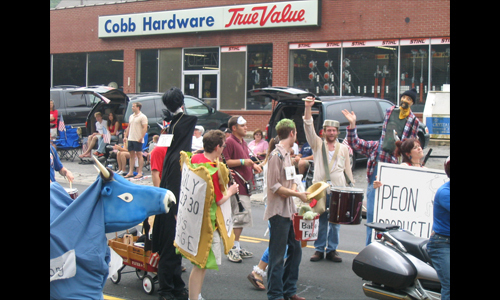 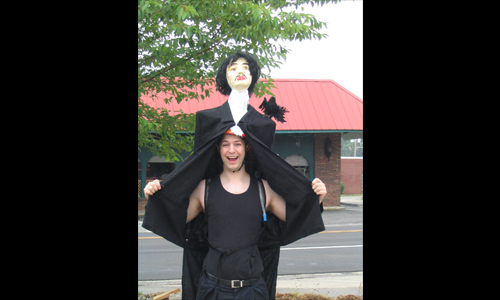 Our goal was to add merriment and joy to a parade that had lacked spectacle in previous years.